After it emerged that the UK was seeking membership of the Trans-Pacific Partnership (TPP), trade figures in Asia have expressed openness to the idea, but confusion as to how realistic it is. The Financial Times reported last week that informal talks had been held about the UK joining the, as yet unsigned, trade agreement after it leaves the European Union (EU). 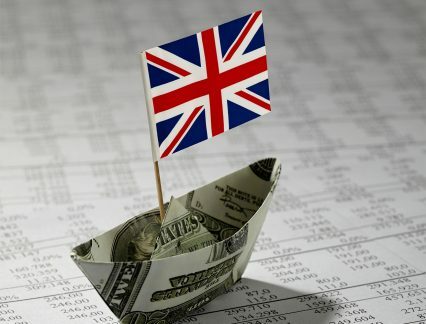 The UK is keen to seek new markets for its exports, post-Brexit, while the remaining 11 members of the TPP are trying to finalise the deal despite the US abandoning it following the election of Donald Trump. Experts from across the region have broadly welcomed the idea of the UK joining in the future. It would, the argument goes, broaden an agreement that is ultimately about inclusion and multilateralism. “The addition of the UK to the TPP would benefit the other TPP members by providing them with more opportunities to grow trade and investment relationships within the TPP area. Vietnam would surely welcome that,” says Fred Burke, managing partner at Baker McKenzie in Vietnam, who worked with US and Vietnamese negotiators for eight years on the terms of the original TPP agreement. Under the terms of its membership of the EU and WTO, the UK is unable to negotiate free trade agreements until it has formally exited the EU. Trade minister Liam Fox has been on a worldwide roadshow trying to line up potential agreements with non-EU member states, while heated discussions over a potential post-Brexit deal with the EU continue. Some, however, are questioning the logic of the UK’s interest in the TPP. “Why would you leave the world’s biggest free trade bloc only to join the queue for this one. Most countries would give their right arm to be a member of the EU,” says a senior World Bank official in Asia, in an off-record conversation. She adds that even in terms of bilateral agreements, the UK would be behind the EU in negotiating a trade deal with Asean nations. EU-Asean talks were abandoned, having been initially launched in 2007. But after the EU succeeded in negotiating bilateral deals only with Singapore and Vietnam, EU-Asean talks resumed last year. “We are talking to the EU about an eventual free trade agreement. The UK, being part of the EU today, is involved in that process. When the UK leaves the EU, that’s a different story. Asean too has to go through a process of figuring out how to engage with the UK, how to make it a dialogue partner,” she says. The remaining 11 members of the TPP, Australia, Brunei, Canada, Chile, Japan, Malaysia, Mexico, New Zealand, Peru, Singapore and Vietnam, made significant progress towards sealing a deal in Da Nang in November. It’s thought that the new deal, rebranded as the Comprehensive and Progressive Agreement for Trans-Pacific Partnership (CPTPP), might be signed as early as March. Once it has been ratified by member parliaments, it may be expanded. The US saw the TPP as a way of containing China’s influence in Asia Pacific. But in its absence, China may join further down the line, as well as the likes of South Korea and Indonesia. Currently, TPP chapters on state-owned enterprises, along with those on intellectual property and competition, would be difficult for China to meet. However, Sta Maria claims that the door is open to the world’s biggest trading nation, whose membership would be a huge economic boon to the other member states. “We never closed the door to China when negotiating TPP. It was for APEC member economies. China being a member of APEC had an opportunity to be a member of TPP, but the rules that were being negotiated, China wasn’t quite ready to go down that road. They took a wait-and-see attitude, and when they undertake necessary structural reform and take on the discipline of the TPP then they’ll be more than welcome into the agreement. The agreement is open and inclusive,” she says. But while the appeal of China may be clear, it is less obvious with regard the UK, a much smaller trading nation. “While the UK has strong incentives to want in to the TPP, it is less clear why the Pacific countries would want to expand the deal to the Atlantic and the UK. The UK market is not insignificant, of course. Getting additional members into the TPP helps the existing countries by increasing the size of the overall market included in the agreement,” writes Deborah Elms, CEO of the Asian Trade Centre in Singapore, in a recent blog post. Countries such as Vietnam would welcome access to the UK garment and footwear market, for instance, which, while smaller than the US, is still sizeable. “In fact, we have UK investor clients who have already invested in capital equipment in Vietnam to produce garment exports for the UK market. They and their Vietnamese partners had expected the EU-Vietnam FTA to enter into effect sooner, so they are still struggling with high EU duty rates. The TPP might just save their shirts, so to speak,” says Burke of Baker McKenzie. As it stands, the idea is far from reality. Opposition figures in the UK have criticised the government for disengaging from more pressing issues closer to home. Once the UK exits the EU in 2019, however, the pressure to seal substantial agreements around the world will be huge.